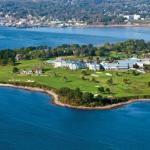 Maine Osteopathic Association's 108th Annual Oceanside Convention is organized by Maine Osteopathic Association (MOA) and will be held from Jun 07 - 09, 2019 at Samoset Resort Golf Club, Rockport, Maine, United States of America. This CME Conference anticipates approval for around 20 AOA Category 1-A CME Credits focused on primary care. 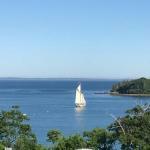 Join us for CME & relaxation on Maine's beautiful coastline! This is a family-friendly weekend with many special events & activities such as a lobster dinner (additional charge), Kids Camp, Fun Run/Fitness activities, plus resort access to golf, 2 swimming pools, fitness center and more! The overall objective of this program is to provide the participant with a quality educational conference that focuses on continuing the integration of osteopathic philosophy and principles into their practice of medicine as well as providing practical and clinically relevant information. Upon completion of this CME program, which includes clinical vignettes and updates on the latest guidelines/evidence-based medicine, the physician or healthcare provider should be able to formulate a differential, make a diagnosis and develop a plan for the prevention and/or therapeutic management of the various disorders presented. Each CME topic has its own set of learning objectives, which are available upon request.